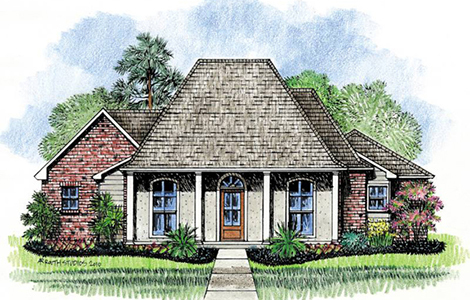 The Tickfaw Acadiana inspired Louisiana House plan from the outside is a true beauty. From the outside there is great contrast from 3 different house coverings with siding, stucco and brick which makes the home very pleasing to look at. Walking into your new home from your four pillar front porch you enter through a traditional foyer which leads you to the family room. In the central family room you will find a fireplace that to hang your flat screen TV over and large windows that look out the back of the home. 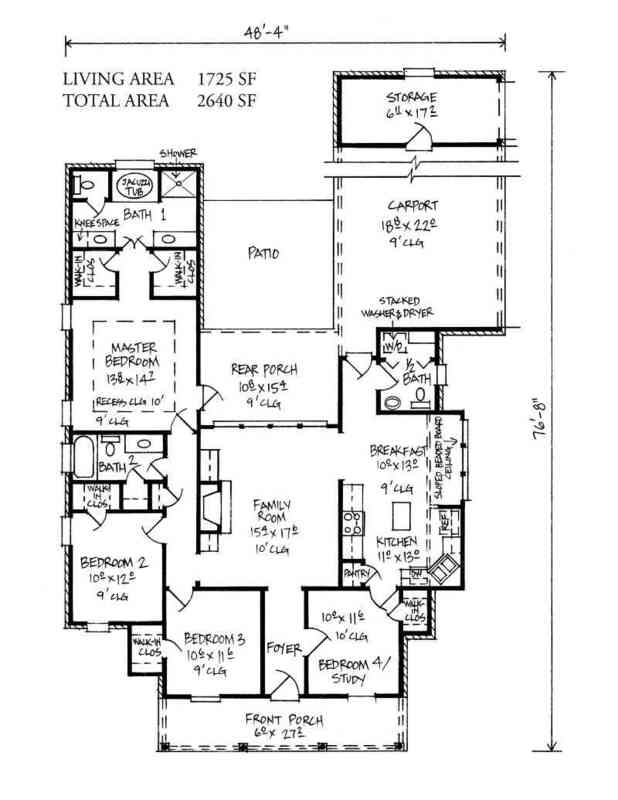 To your left are three bedrooms including the Master Suite. Each Bedroom features walk in closets. In the master you will find a 10� recessed ceiling, his and her closets, a master bath with his and her vanities and private access to the rear porch. Now heading across the house you will enter into the breakfast room that is connected to the kitchen. Your kitchen is good sized with a corner sink and island. The four bedroom finds you back at the front of the home and could also be used as a study or office if desired or even converted into a formal dinning room. Lastly you will appreciate the 2 car carport, attached storage or work shop and the large extended patio.